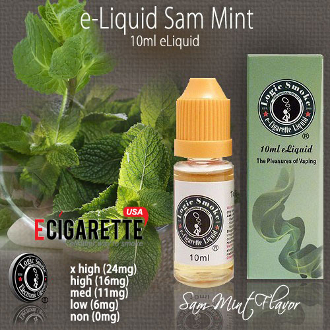 Our Logic Smoke Sam Mint E-liquid is a nice tobacco flavor with a good mix of mint to give you the taste of a menthol cigarette. It is a moderate tobacco flavor that won't be harsh or abrasive, just a smooth vape. Pick up a bottle today and add some mint to your tobacco flavor.